You have recently shifted to your new home and brought everything new. But don’t know how to get rid of all that old furniture? Junk King offers easy furniture removal services. We understand that removing old pieces of furniture can be difficult because of the bulk and weight you have to deal with. Junk King makes it easy because we have a team of trained professionals who know their job well. Our team is provided with larger trucks and all the equipment required for removing furniture and hauling it away. They ensure that the furniture is dismantled safely and no unnecessary objects are left behind. The team also cleans up the area before they leave so you can start using your empty space right away. You can call the team before you move or after. Hiring Junk King for professional junk removal services in Miami North is an excellent idea because we save you time and move. As a junk removal company, we offers safe and eco-friendly services to clients. We ensure that furniture is disposed properly. All attempts are made to reuse it if possible. 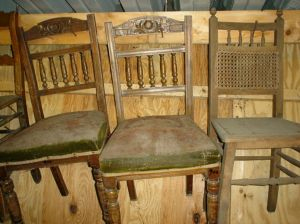 So are you ready to get rid of that old furniture that you don’t need? Make an appointment at Junk King and call them to get your garbage removed. This entry was posted in damaged furniture removal on March 27, 2016 by postmaster. Last updated April 8, 2016 .